Blackberry's offering at the Congress is in danger of becoming the forgotten phone -- just as the company is battling to avoid being the forgotten phone maker. CNN Money hasn't given up though -- and has a good piece on why the new Blackberry Q20 matters for the company and its new CEO John Chen. "BlackBerry is no longer focusing on beating the iPhone and Android, but that doesn't mean it's giving up on smartphones entirely..." Read it here. 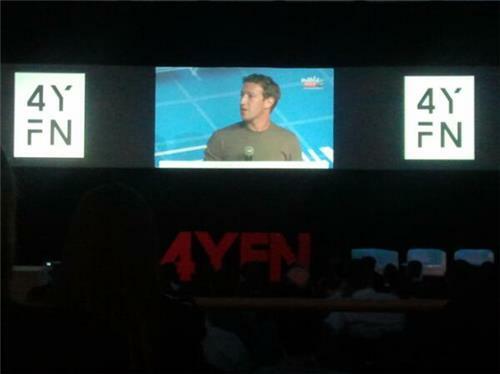 Facebook's Mark Zuckerberg on the MWC stage Monday. Remember when Facebook autochanged our emails on the social network to Facebook email accounts? More than anything else, it was annoying as our contacts no longer had our email addresses. Most people simply changed their information back, even fewer actually used the email service. 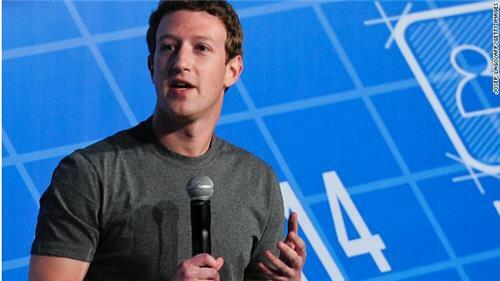 So it comes as no real surprise that after three-plus years, Facebook is pulling the plug. Messages sent to users' Facebook email accounts will be forwarded to the individual's primary email and changes are expected to roll out in March. Read the full story from Matt Smith here. Samsung's first watch flopped. Is the Gear 2 destined for the same fate? Whoa. Just every once in a while you realize you're living in the future. Seeing someone slice fruit with their eyes is one of those moments. Thanks Tim Green. We should expect more “super exciting” announcements on Michael Jackson and the way Sony Mobile works with Epic Records, Sony SVP Dennis Van Shie tells me. "Mobile" is a misnomer for this year's event. "Connected" might be more accurate. Here is a preview of LG's connected home screen. It can alternate between mirror, window, family message board, communicator and entertainer. Connected on the go, in the home, and in your car -- the take away from the show is that tech is, without question, everywhere. Can touchless gesture control enter the mainstream? 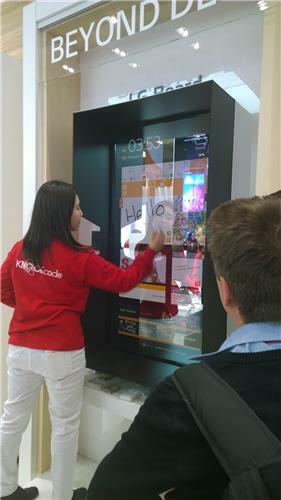 Touchless gesturing -- which Tom Cruise made look so effortless in blockbuster Minority Report -- has long been eyed as the next step from swipes and taps.It’s yet to come to the mainstream but displays of the technology were dotted throughout Mobile World Congress. And while there were queues to demo the products, CNN blogger Meaghan Fitzgerald reckons, as yet, it remains “too frustrating” for wider consumption. 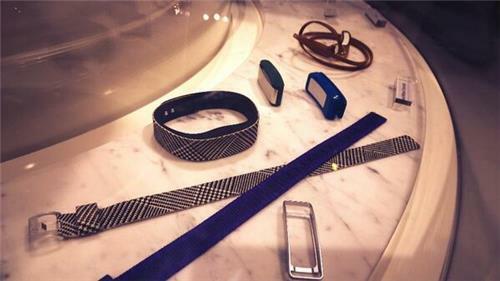 One company set to bring the technology to the high street this year Elliptic Labs. Laila Danielsen, chief executive of the small Norwegian start-up, says its technology -- using ultrasound waves which bounce off the hand and give directions -- offers precise customization which will do away with the niggles of inadvertent swipes. She says the use of ultrasound allows the technology to be slotted into devices easily, and with 180 degree interaction around the device. Additionally, it is light on power and can work in the dark, the company says. Elliptic Labs is working with several smartphone partners -- but won’t name names. Danielsen also declined to be more precise on when the technology might be more widely available -- the competition in this market, she points out, is fierce. Well everyone I think we are going to call it a day. 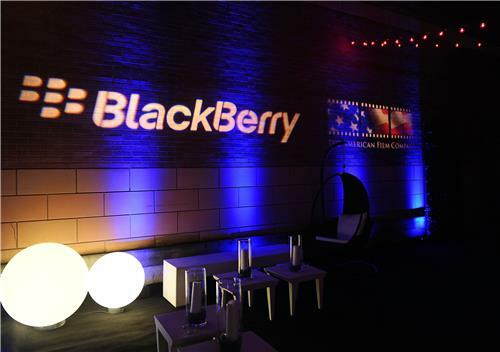 It's been over 12 hours of jam-packed fun with news including Mozilla's $25 Firefox phone, Zuckerberg elaborating more on the WhatsApp takeover and lastly, the big one of the evening -- the unveiling of the the Samsung Galaxy S5. We will back tomorrow with day 2 of the 2014 Mobile World Congress. Until then, from Matt and myself... goodnight. 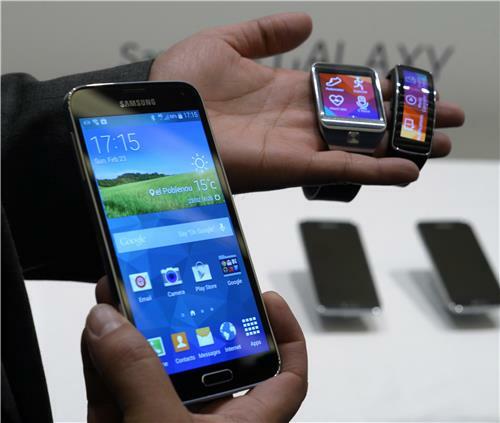 Samsung has unveiled its new Galaxy S5 smartphone at #MWC14 . Waterproof, dust proof, faster, better camera & built in heart rate monitor. 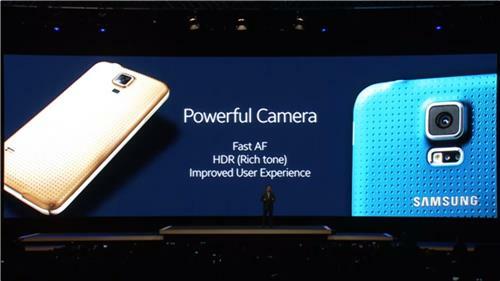 "I will not make you wait any longer -- here is the Samsung Galaxy S5," says Samsung CEO JK Shin. We're only just getting around to the announcements in Barcelona, but already the Internet is flush with unconfirmed Galaxy S5 reviews ... lets see if they're accurate. And now it's on to our final event of the day: Samsung's "UNPACKED" event where they say they are unveiling their next-gen mobile products. Oh my, I wonder what that could be? When we asked what you were most excited for, you told us it was this: the Samsung Galaxy S5 which is (probably) about to be revealed. 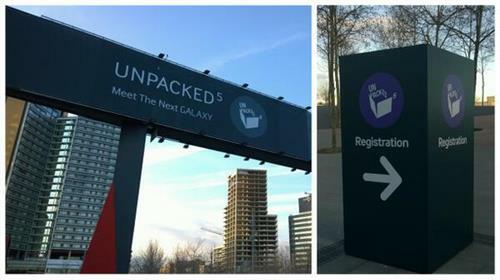 Is the tiny "5" on the Samsung Unpacked signs the final giveaway, or a cruel tease? Find out in half an hour! Nokia boss Stephen Elop on the company's first Android phones which target emerging markets. CNN's Jim Boulden reports. This augmented reality tech from Qualcomm turns a promotional flyer into a running shoe. In the world outside the Zuckerberg keynote, Tim Green has found some cool virtual trainers. What did you think? Will Zuckerberg be able to connect billions more to the Internet and provide basic services like Facebook, weather, Wikipedia and other information resources? You tell us -- have your say in the comments! Want to know more about Internet.org? Read the full story behind of Zuckerberg's mission to connect the world.